When it comes to home heat, there are many factors to consider including cost, comfort, safety, and the environment. There are many benefits of propane heat. Many people are turning to propane for heat because it is less expensive than oil and electric heat in today’s market. Heating with propane is a safe, environmentally friendly alternative to other methods with the same or better quality of heat. Compared to other heating sources, propane is clean burning. According to the Environmental Protection Agency, propane produces 68% fewer greenhouse gas emissions than electricity. This is because electricity is created by the burning of coal. It is non-toxic, therefore not harmful to soil or water. And because it takes less propane to heat the same space as it would take electricity, the environmental advantages are even greater. Other household appliances such as water heaters, clothes dryers, and ranges can run on propane as well, thus reducing electricity usage in the home. Propane heat is a safe alternative to other heating sources as long as it is installed correctly. There is a Certified Employee Training Program required in eight states for the propane industry that is used nationwide by various propane suppliers. This program is developed within the guidelines set by agencies such as the Occupational Safety and Health Administration and the National Fire Protection Association. Another advantage of propane heat is its versatility. It can be used in floor and ceiling radiant heating systems as well as air vent heating. It works for multi-zone heating systems and in fuel-powered fireplaces. 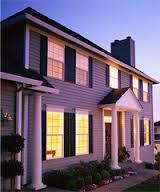 There is virtually no home that cannot be heated efficiently and comfortably with propane. With all these advantages, why not use propane? One concern for many is the upfront cost of a new heating system. According to the cost comparison studies done by the U.S. Energy Information Administration, the cost of installation of a new propane heating system would pay for itself within the first year. The savings would actually exceed the cost of making the switch.